The Section V Wrestling Sectional Matches were held this past weekend at Warsaw High School. 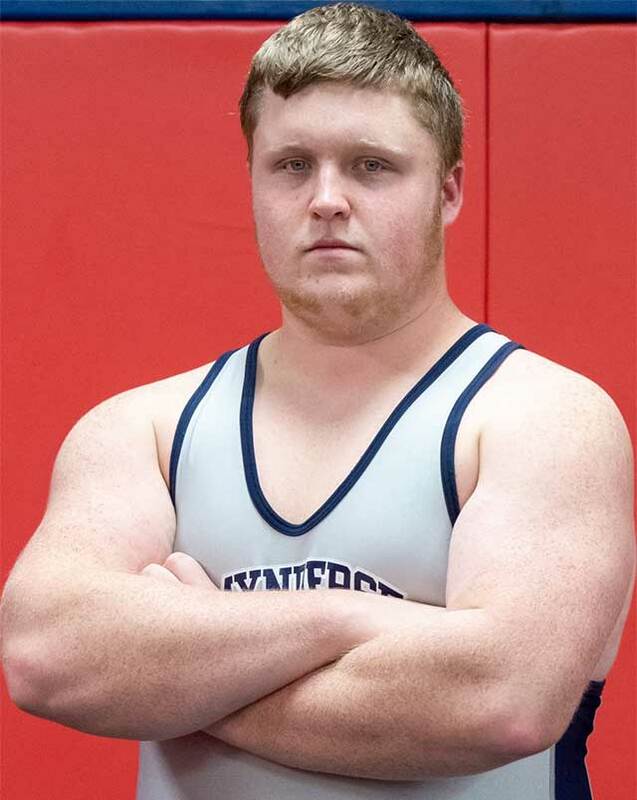 Mynderse Academy Senior Mason Major won the Section V Class BB Sectional Title for the 285 pound weight class. Senior Trent Youngs placed second in his match at 152 pounds. Seniors CJ Zerniak (160 pounds) and Max McDermott (145 pounds) each took third place, while Junior Dylan Harris took fifth place in the 113 pound weight class. The team placed sixth overall out of 14 teams. The boys will be moving on to State Qualifiers next weekend at SUNY Brockport. All five student-athletes will appear on the Weber This Week show on February 25th at 3:00 pm on FingerLakes1.com.